Welcome to MACADAMIA NUT MONTH! Why is this Macadamia Nut Month? 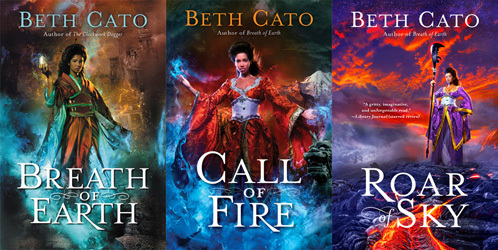 Because next month on the 23rd, the final book in my Blood of Earth trilogy comes out! Macadamia nuts are a big product of Hawaii, and Hawaii is a major setting in Roar of Sky. Plus, macadamia nuts are awesome. 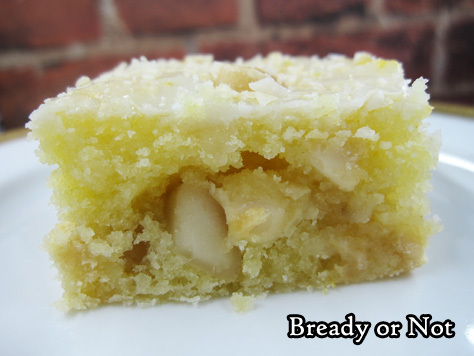 Sweet, tart, crunchy, fresh: these Lemony Macadamia Nut Blondies have it all going on. My husband loves good lemon treats, and these met his whole-hearted approval–and his co-workers apparently went bonkers for them, too. 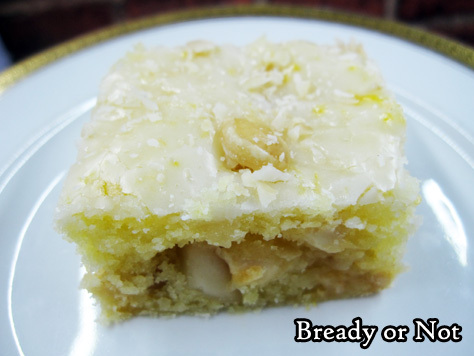 I’m honestly surprised there aren’t more goodies out there that combine lemon and macadamia nuts. It’s such an awesome combination. Here, the chewiness of the blondies is amped up by a very thin glaze that soaks into the bars while they are still hot. I was afraid the glaze might make them too sweet, but it turned out perfect. 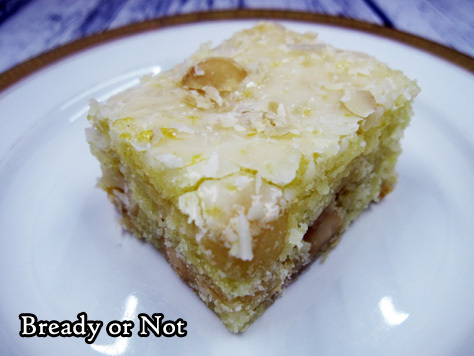 If you have leftover macadamia nuts around, do remember to store them in the fridge! Their high fat content can cause them to spoil at room temperature, whereas they will keep for ages in the fridge. Trust me, no one wants to eat rancid nuts. Come back next week for a recipe with optional macadamia nuts: mini fruit cake loaves, quite customizable with the dried fruit and nuts! And please preorder Roar of Sky! 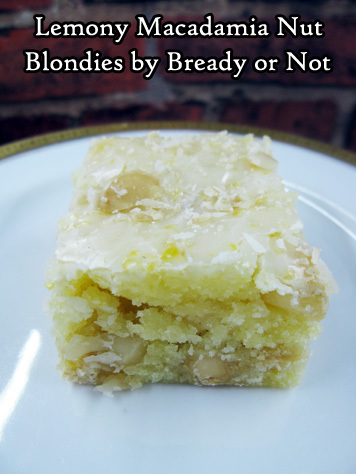 These lemony blondies are full of crunchy, chewy perfection. A thin glaze on top adds a necessary sweet boost. Preheat oven to 350 degrees. Line a 13x9-inch pan with foil and apply nonstick spray. In a large bowl, cream together the butter and white sugar. Add eggs one at a time followed by the lemon zest, lemon juice, and lemon extract. Stir in the flour and salt. 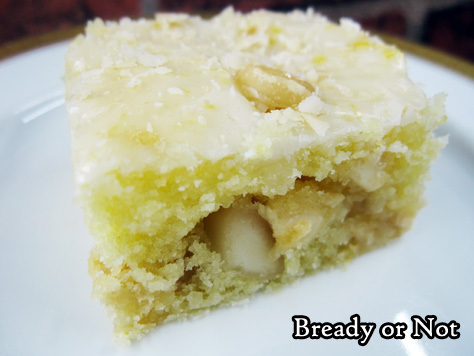 When those are just incorporated, add the white chocolate chips and macadamia nuts. Pour the batter into the ready pan. Bake for 25-35 minutes, until it passes the toothpick test in the middle. Immediately after that is done baking, make the glaze by stirring together the confectioners' sugar and reserved lemon juice and zest. 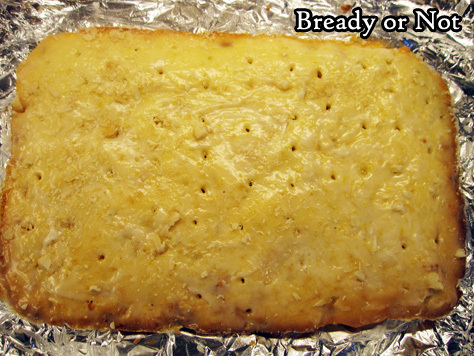 Use a chopstick or similar tool to poke small holes across the top of the blondies. Pour the glaze over the top and use a spoon to distribute it evenly. Sprinkle the remaining nuts on top. Let pan cool completely. Use the foil to lift the contents onto a cutting board. Slice into bars. Store in a sealed container with wax paper or parchment between the layers.